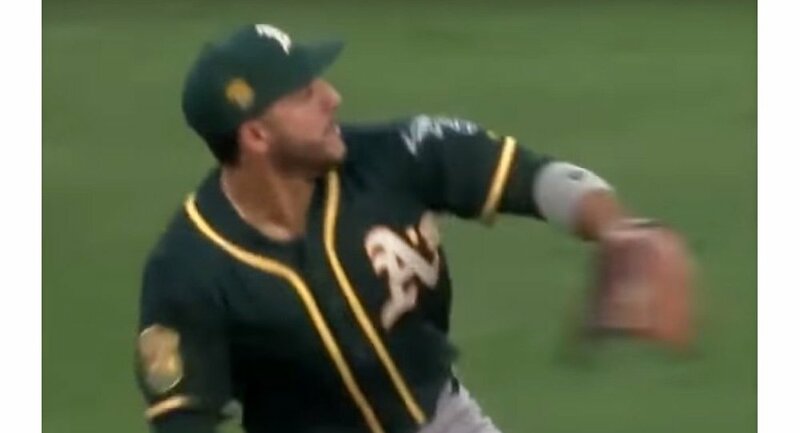 Watch this fantastic throw by center fielder Ramon Laureano from the Oakland Athletics. Ramon Laureano is a Dominican professional baseball player born on July 15, 1994. He made his professional baseball debut with the Greeneville Astros in 2014. On August 3, 2018, the Oakland A's called up Laureano to make his major league debut. In this video you can see his super missile-like 321-foot throw to complete a double play. The game ended in a 7-0 victory for the A's against the Los Angeles Angels.